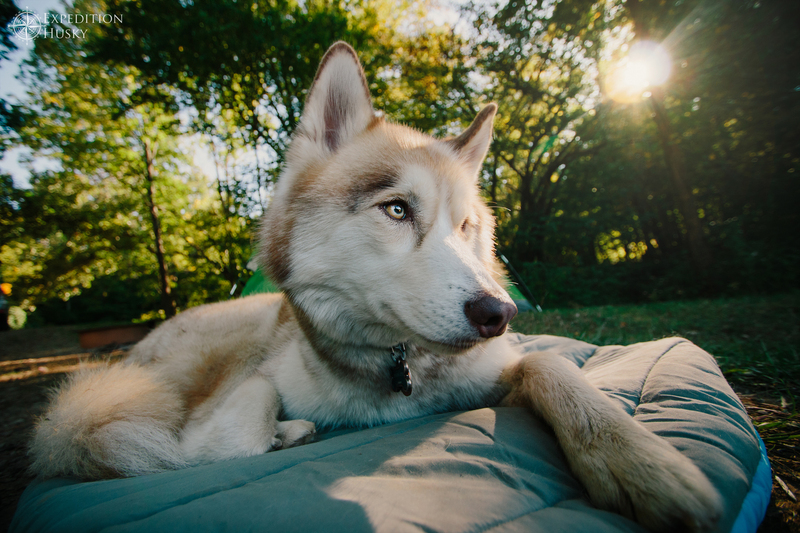 Discover adventure inspiration, dog gear reviews, and expert advice. 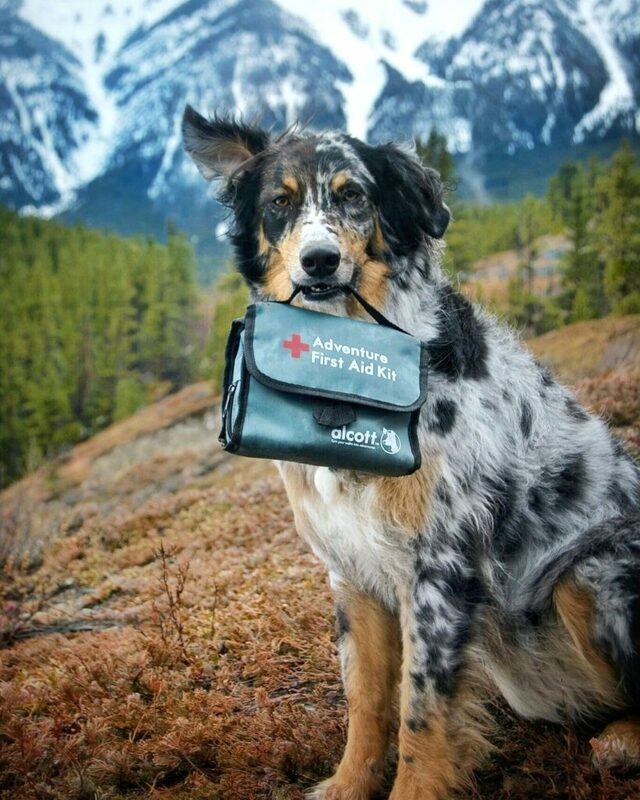 Spring is in the air so this week Dogs That Hike will be talking about first aid. 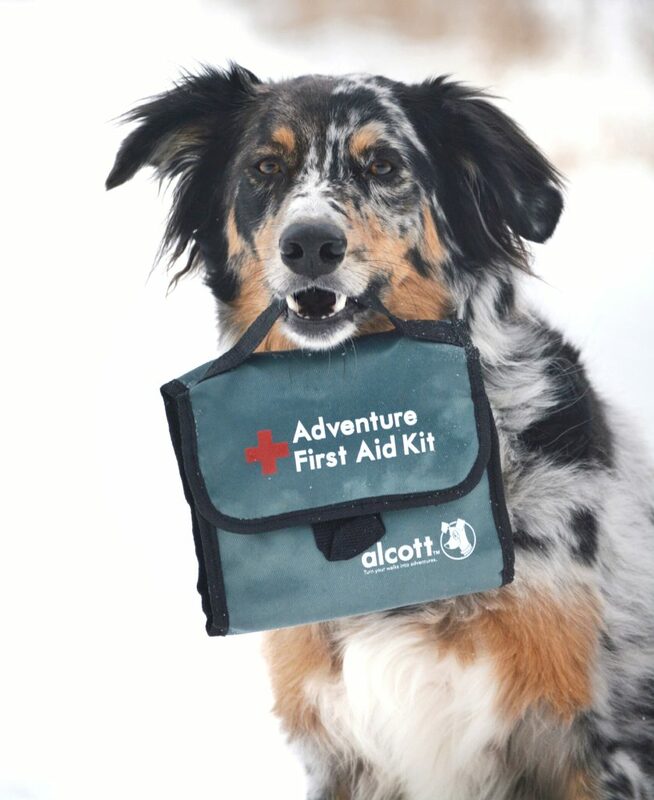 If you haven’t already, check out our article posted earlier First Aid for Fido on the Trail as it will give you some basic information and prepare you for this review. 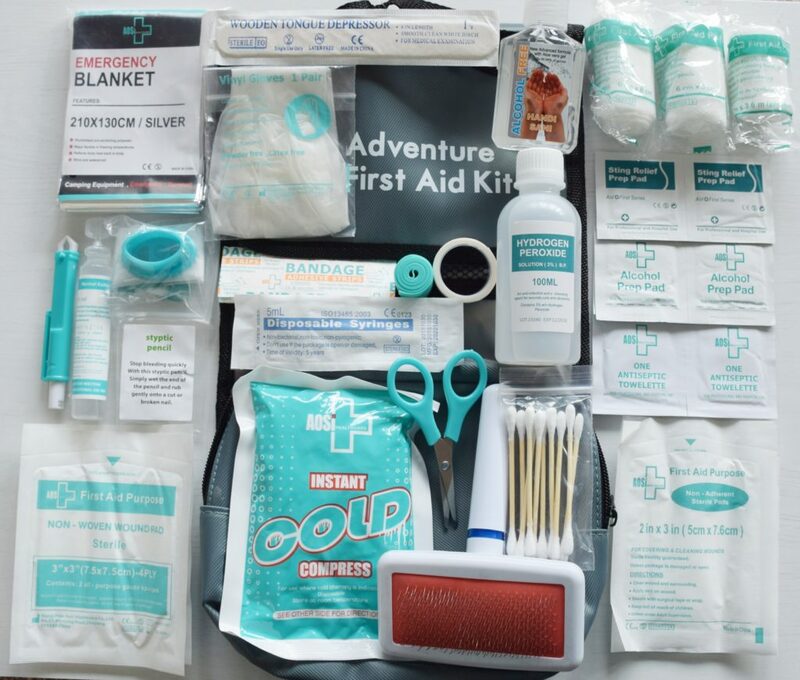 We provided our Trail Testers with a number of different first aid kits and asked them for their feedback. 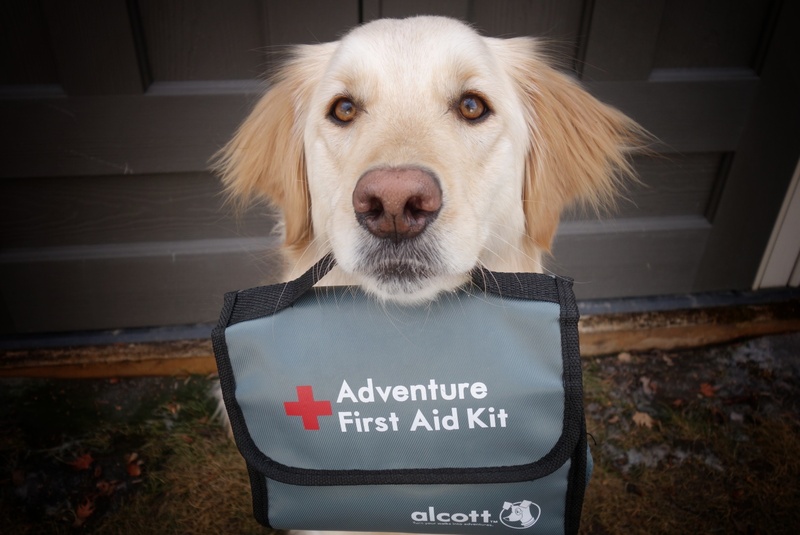 Read on to see what what @emma_brat thought of her Alcott kit. This kit has a few features that make it unique. The travel bag itself is a very durable and a little bit water resistant to splashes but it does absorb standing water or heavy rainfall (not water proof, we tested) it opens nicely and is able to be hung so there is easy access to the contents. I was also very impressed with the 100ml saline eye wash, it is conveniently small and the top can be easily opened by hand for fast usage. The vinyl gloves and mini scissors also will be useful and I like that they don’t take up a lot of room. 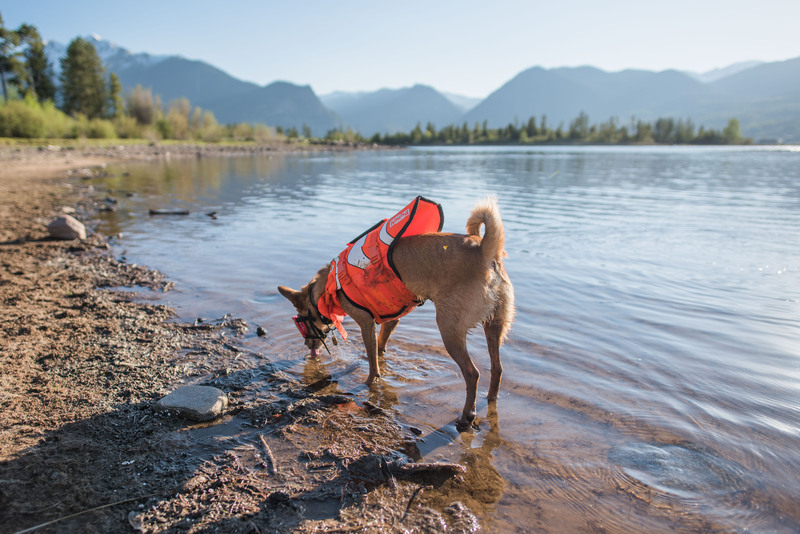 The tiny sting relieve pads are a neat addition; they don’t take any space and could be useful to numb a bug bite that could cause a dog distress. I feel the kit is missing self adhering bandage material; this is an absolutely essential item for wrapping lacerations, broken toenails, and worn paw pads. The tick tweezers are a bit hard to use without damaging the tick, a tick spoon or tweezers that you can control the pressure yourself would be better to use so you do not damage the tick during removal. The main thing that could be done to improve the kit is to make it lighter and smaller. In my opinion some of the items are not necessary such as; the brush because it’s large and not really a first aid item, the large bottle of hydrogen peroxide which is not as effective for disinfecting a wound as betadine solution (topical iodine) or chlorhexidine antibacterial soap towelettes. I also feel the hand sanitizer is unnecessary as there are vinyl gloves that protect your dirty hands from infecting a wound. I also really like waterproof kits or kits that have all items wrapped in plastic; this kit for the most part is good except the gauze packs are not wrapped in plastic. The other improvement as mentioned above is to include self adhering bandage material, otherwise known as Vetrap or Petflex. Overall this kit is quite useful and a great kit for keeping in the car. I would likely not use it on the trail as it would take up a noticeable amount of room in a backpack. It also weighs 1.5lbs, which may not sound like much but I’d rather carry more water than a heavy first aid kit. I will be adding some items from this kit to my current small waterproof kit, such as the saline rinse (this is my favorite item in this kit), the sting relieve pads, the very small package of vinyl gloves and the nice light mini scissors (mine are metal, these have more plastic making them lighter). This is a great kit for someone that just wants to start somewhere and tweak the kit to make it more suitable to their own individual needs. 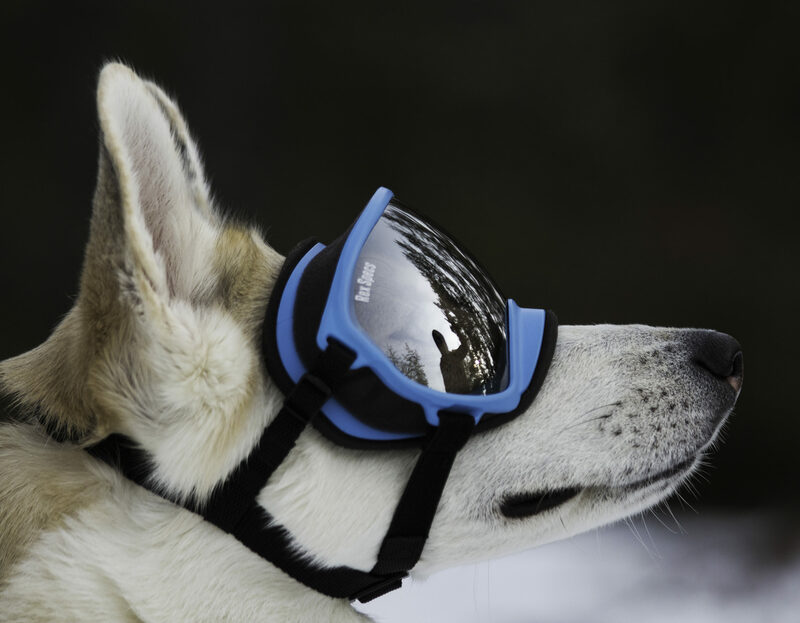 Dogs That Hike	| Theme: News Portal by Mystery Themes.